Madiz is the oldest seagoing Clyde-built vessel to still be in active service. Above is a picture of the Aisla Shipyard drydocks, around 1900, when Madiz was built. The man in the center with the bowler hat is believed to be its designer, G.L. Watson. Shipbuilding in Troon existed nearly 100 years before the 'Ailsa Shipbuilding Company'. The yard was first leased by the Fourth Duke of Portland in 1812. He created the "The Portland Shipbuilding Company" which built many ships during the early 1800's. In 1840 the first Steam launch was built. However, Troon had mainly become identified with Clipper Ships. The 'Earl of Eglinton' built in 1854 was the largest wooden vessel to have been built in Scotland up to that time. In 1893 Alexander McCreadie and Peter Wallace started a shipyard at the Maidens, a small village between Girvan and Ayr. A three berth yard was opened at Troon in 1885. It was purchased jointly with the Marquis of Ailsa. 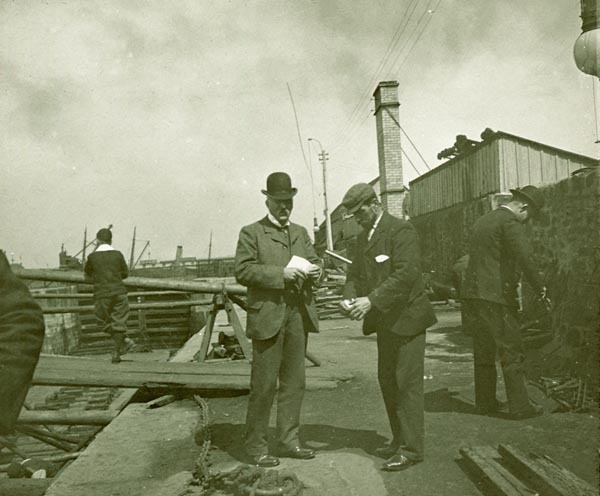 The Troon yard was renamed with the family name as the 'Ailsa Shipbuilding Company' and the Company formed in 1886. Mr W Thomson was the Master Shipwright. Ailsa were to go on to build a number of ships for the British India Company. In 1902, around the time Madiz was built, the company grew by acquiring a six berth yard at Ayr, which had previously built well known Clyde Paddle Steamer steamers. Construction at Ayr continued and two hundred more ships were built under the Ailsa name. In 1907 an engine works was opened. The Troon and Ayr yards worked together. Hulls built at Ayr were towed to Troon for machinery fitting. The Ayr yard closed in 1929. It reopened for the duration of World War II for repair work, although most of the work was still being completed at Troon. In 1938 the Marquis of Ailsa died. He was succeeded by Colonel James Hutcheson and by 1939 there were berths of up to 350 feet long and the capability of building ships up to 5000 tons. Over 45 major Shipyards have closed on the Clyde since then and today very few are left. 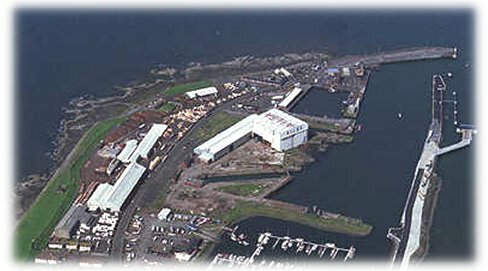 Ailsa Shipyards closed in December 2000. It is to its credit that it lasted so long despite the fact in later years its main purpose was ship repairs.